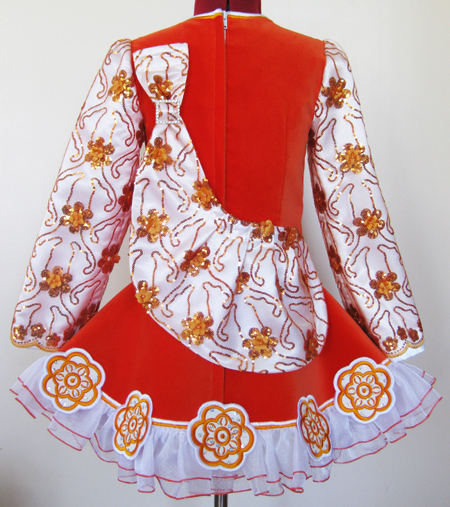 Total back length (top of zipper to hem): 25¾"
Burnt Orange velvet bodice and return pleats. 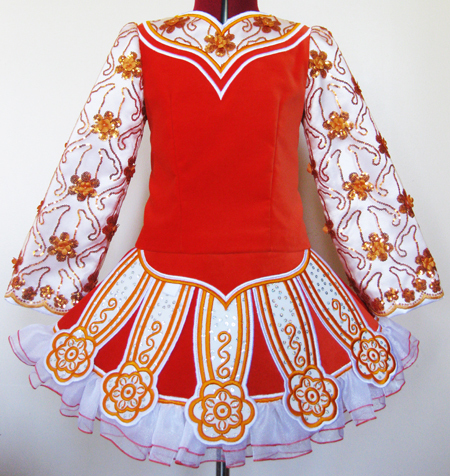 Orange floral sequin sleeves, bodice yoke, and shawl, overlaid on white satin. Orange embroidery on white panels with silver sequins. Double organza ruffle with orange trim. 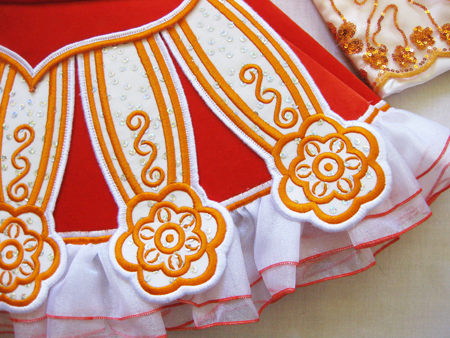 Orange, red, and yellow floral skirt lining.